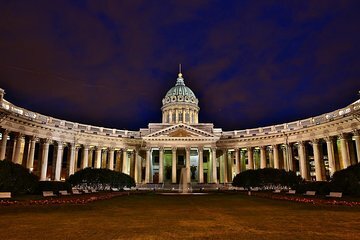 Explore Russia’s cultural capital on this private half-day tour of St. Petersburg. Learn about the history of the city from its formation in 1703 to present-day as you see landmarks such as the Nevsky Project, the Hermitage Museum, the Church of the Savior on Spilled Blood, and much more. Take a guided tour of the famous Faberge Museum to see the famous Easter eggs created for the Tsars of Russia. Hotel or preferred accommodation in Saint-Petersburg.